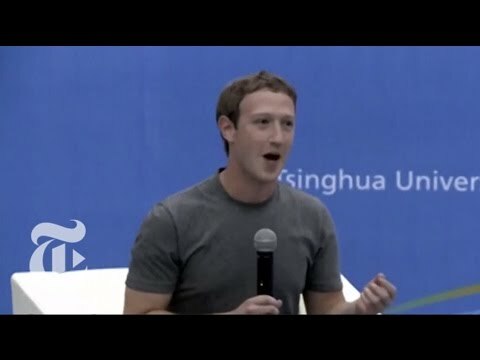 Despite his goal of global openness, however, Zuckerberg remains a wary and private person. He doesn’t like to speak to the press, and he does so rarely. He also doesn’t seem to enjoy the public appearances that are increasingly requested of him. Backstage at an event at the Computer History Museum, in Silicon Valley, this summer, one of his interlocutors turned to Zuckerberg, minutes before they were to appear onstage, and said, ‘You don’t like doing these kinds of events very much, do you?’ Zuckerberg replied with a terse ‘No,’ then took a sip from his water bottle and looked off into the distance. This makes the current moment a particularly awkward one. Zuckerberg, or at least Hollywood’s unauthorized version of him, will soon be starring in a film titled “The Social Network,” directed by David Fincher and written by Aaron Sorkin. The movie, which opens the New York Film Festival and will be released on October 1st, will be the introduction that much of the world gets to Zuckerberg. Facebook profiles are always something of a performance: you choose the details you want to share and you choose whom you want to share with. Now Zuckerberg, who met with me for several in-person interviews this summer, is confronting something of the opposite: a public exposition of details that he didn’t choose. He does not plan to see the film. Zuck’s a fascinating guy, in part because he’s so powerful (he runs a site that we share tons of intimate, personal information on) and in part because he’s so hard to nail down. It’s pretty clear what he stands for (openness, sharing, and the like), but who he is seems to be a different matter. We forget so often that he’s 26, and totally without the kind of experience most people have before they build many-billion-dollar companies. The profile is a long read, but an excellent one – well-written, even-handed, and does a great job of weaving the stories of Mark Zuckerberg, Facebook, and the public’s reaction to both.